When you eat in a restaurant that boasts not one, but two Michelin Stars, you’re entitled to expect an experience which sits somewhere between eating and art. That’s precisely the ambience that Daniel looks to convey from the moment you walk through the door. The stylish dining room is encircled by eight tableaux commissioned from artist Manolo Vanes, paying tribute to the world’s great painters. The tone is set before you’ve even seen a menu. While Daniel positions itself to attract and serve those who like to dress up for dinner, it is possible to get in on the fun without breaking out your finery; it’s blazers and evening dress in the main dining room, but an a la carte menu is available for less formal guests in the lounge bar. 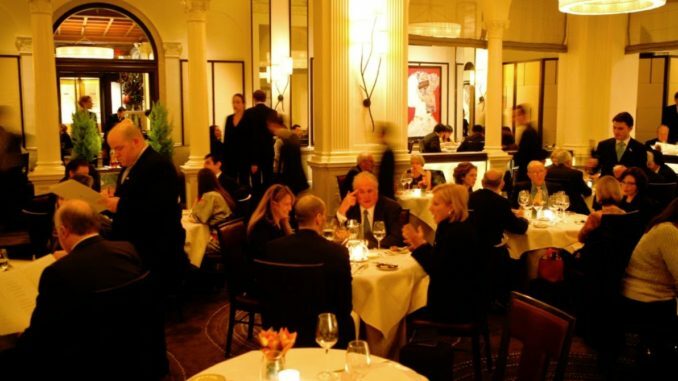 The restaurant takes its name from founder Daniel Boulud, whose commitment to authenticity makes his restaurant as authentic a taste of France as you’ll ever encounter without locating your passport and making the trip to Europe. The menu experiences seasonal changes as all menus in fine eateries do, but Boulud’s own black truffle and scallops in pastry is as delectable a dish in the here and now as it was when he first offered it all the way back in 1987. Though $105 for a prix-fixe three-course meal may be at the steeper end of the market, you certainly get what you pay for.